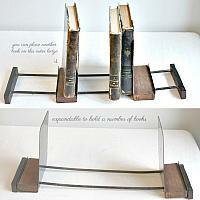 Beautiful and practical, this metal book stand, or sliding book holder or rack features two painted tole sides. 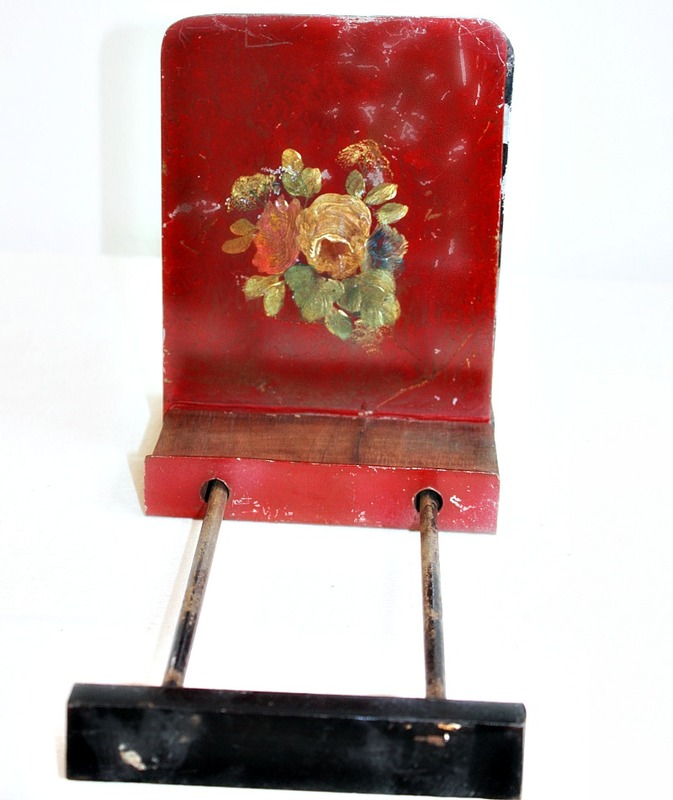 The uprights are hand painted Bordeaux Red, and decorated with a gold rose and a smaller red rose floral bouquet. 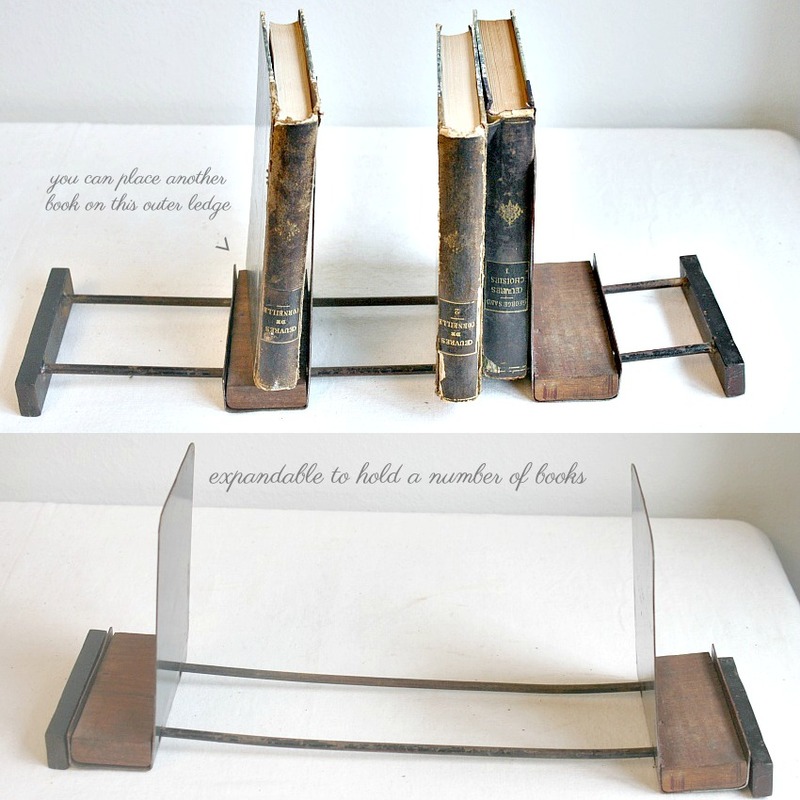 The expandable book holder has two sliding "panels" can be extended to hold a varying number of books in the center. 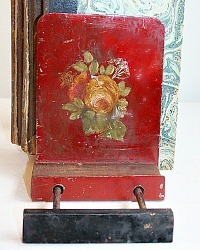 In front of each painted upright, you can display a small objet 'd art, or a small book on the wood raised platforms. 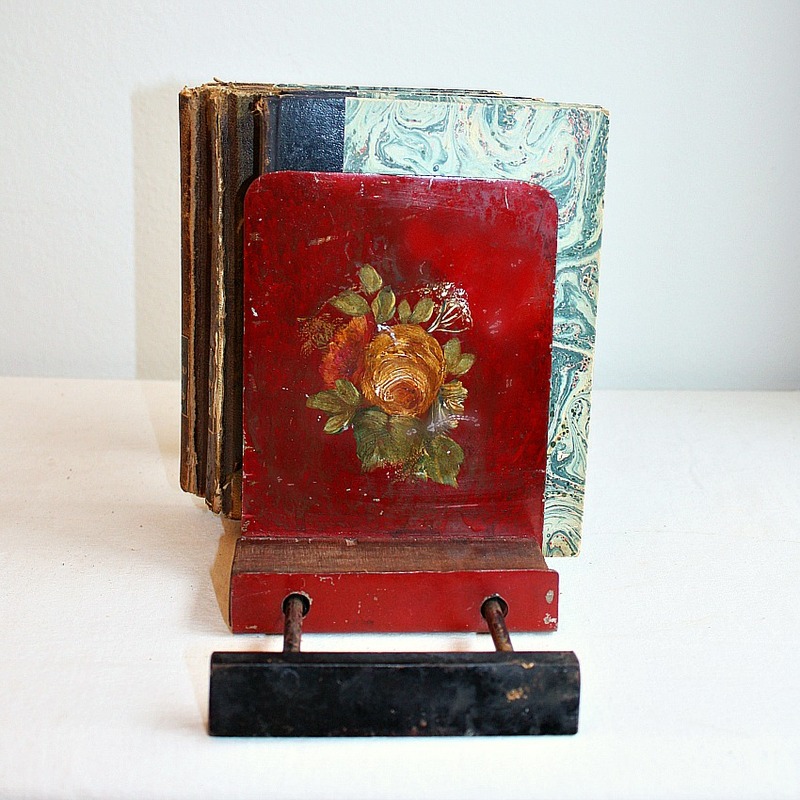 Display a collection of volumes or leather-bound books in your office or library, or your favorite French cookbooks in the kitchen. 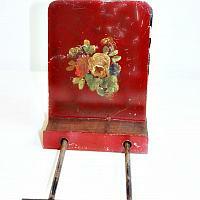 There is wear to the paint as shown, this shabby treasure is rare to find this in any condition! Measures 18" x 5" x 6-3/4"h.